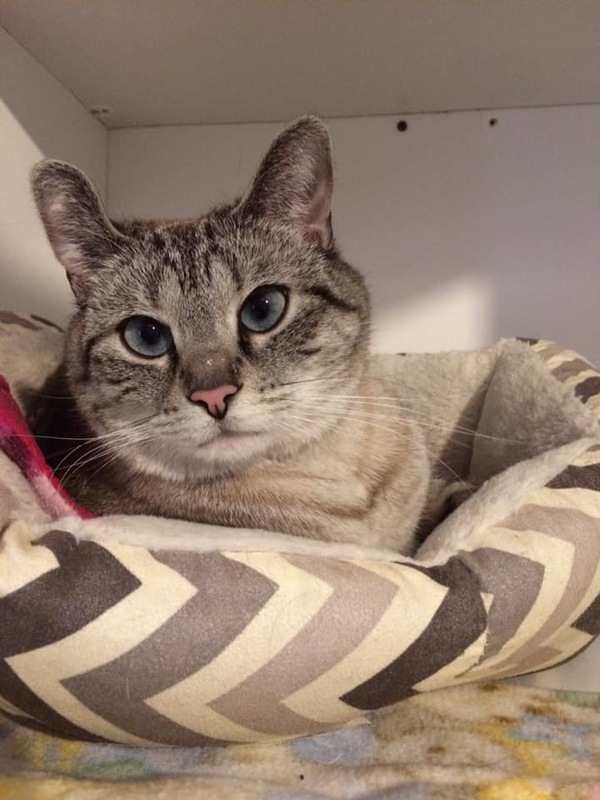 Pez is a 1-2 year old domestic short haired grey tabby, with a gorgeous pair of baby blues ! She weighs approximately 8 lbs, and is a total love! She is a little shy at first, but is quick to flip over for a belly rub! She has been dewormed, is in the process of becoming current on core vaccines, has been given flea and tick preventative, and has already been spayed!